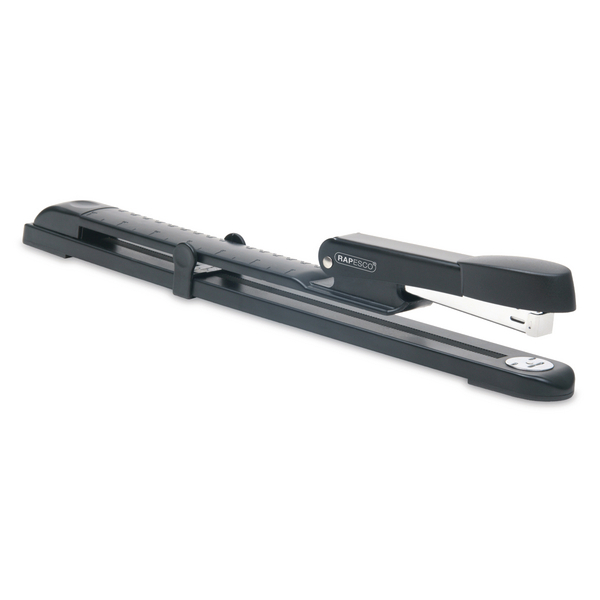 Long reach stapler for large sheets of paper or centre stapling of brochures. Manufactured from quality steel throughout and base plate with rubber pads. Stapling depth 300mm and takes 26/6 (HTST116) and 24/6 (HTST106) staples.